Gamuda Parks is an initiative by Gamuda Land which brings together non-governmental organisations and experts as well as consultants who work with flora and fauna, to improve the designs and maintenance of the parks in Gamuda Land’s new townships. 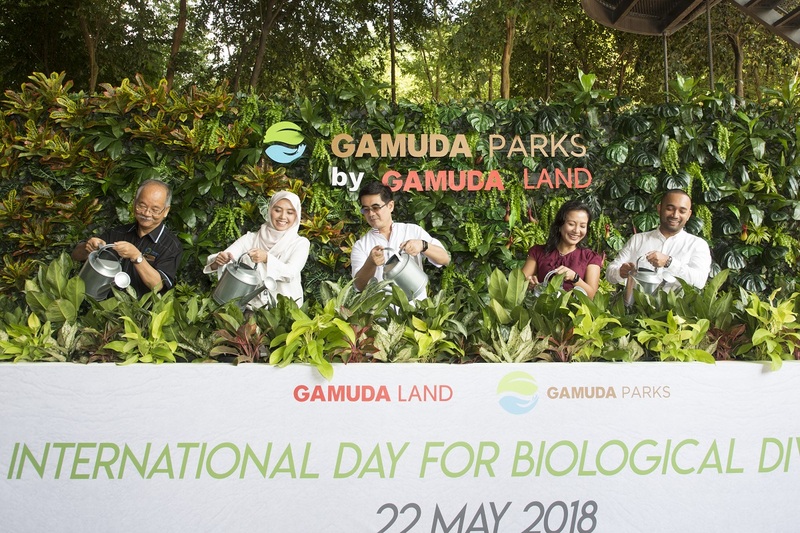 Gamuda Bhd deputy group managing director Mohd Rashdan Yusof and the Gamuda Land team made the pledge today together with its supporting partners — Wetlands International Malaysia, Forest Research Institute Malaysia (FRIM) and the United Nations Malaysia. “One important aspect of town making is listening to what the land has to tell us. That means working with what nature provides and blending nature into our planning and neighbourhoods to seamlessly integrate the natural with the man made to improve liveability,” said Rashdan during his welcome note of the event. He also stressed that Gamuda Land took the pledge seriously and it will be a long-term commitment to their buyers. “At Gamuda Land, we implement all of these at the early design and master-planning stages where we work with our partners, NGOs and consultants who are experts with flora and fauna to mindfully select the right native plants and species that can attract richer biodiversity yet low-maintenance to ensure sustainability,” said Gamuda Parks chief operation officer Khariza Abd Khalid. “We do not have a specific number [investment budget for Gamuda Parks initiative]. We will do what is necessary to achieve the pledge. We are very serious in this pledge and we do realise it is a big wish. We will do what is needed to ensure our pledge is achieved,” said Rashdan. One of the first steps undertaken by Gamuda Parks is the formulation of a biodiversity policy and to conduct a biodiversity audit as a scientific measurement of liveability and habitability of the environment in both Gamuda Gardens and Gamuda Cove. According to Rashdan, stage one of the biodiversity tracking is already in progress.